In the United States, there are two main ways to determine how candidates are selected for various elected positions. These are known as primaries and caucuses. Caucuses are used to make a variety of decisions in political parties. It is well known that parties hold caucuses to select nominations for presidential races. But caucuses also provide parties with decisions related to party issues, local party leaders and delegates for conventions. Prior to the 1900s, caucuses were the only means of important decision making for parties. Caucuses usually contain long discussions followed by a group decision. In comparison to primaries, caucuses tend to have a relatively low voter turnout, but this can very from state to state. Primaries have become the a popular first step in the election process. Just like a caucus, Primaries help decide who the best candidate is to represent the party in an election. The main difference is that voter participation is much higher and it is more of a democratic decision making system. Primaries are much simpler then caucuses, in that party members simply show up, cast a ballot, and leave. There is no lengthy discussion. Primaries can be open, closed, top-two, or hybrid. Open primaries allow any eligible voter to cast a ballot, regardless of political affiliation. Closed primaries only allow registered members of the party to participate. Top-two primaries generate two winners, who then both proceed to the general election. Hybrid primaries perform exactly how they sound. They are a mix of open and closed primary nomination processes. 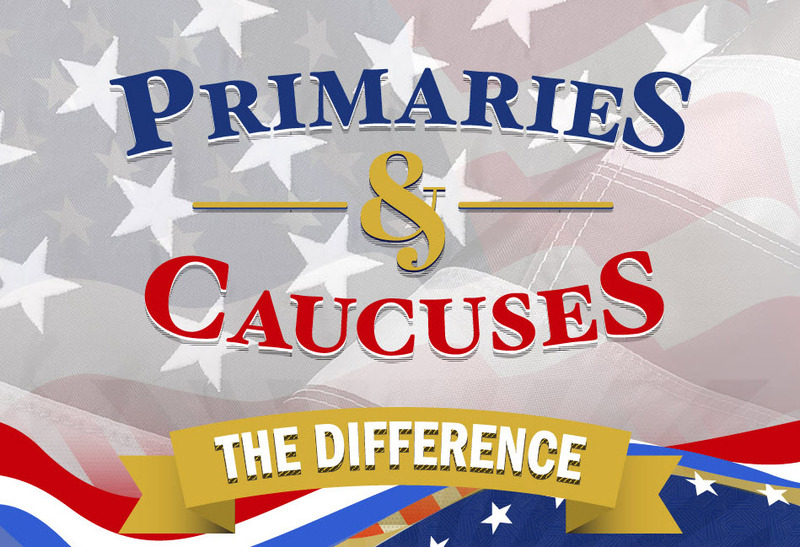 Please see this infographic for more details on the difference between primaries and caucuses.